Want to show the world just what a good time can be had in your venue? With the right photography, you can. 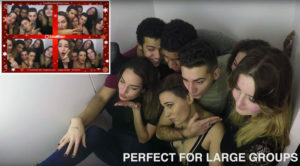 Capture the magic of the night with professional standard photography techniques – or even better, install a nightclub photo booth where customers can entertain themselves and create lasting memories. We’re here to show you how to make the most of your nightclub photography in order to boost your brand and keep customers coming back for more. Invest in the right kit. Accessories like a UV filter and a flash diffuser are essential in order to depict nightclub environments, while a wide angle lens is important if you want to take crowd shots across the whole room. Research the best lenses and cameras; the equipment you use will make a real difference to the quality of your images. Compose your shots. Take the time to carefully compose your nightclub photographs. You’re likely to be taking action shots, so much of the time the final outcome will have an element of luck – but by thinking about how to set up your shot, you’re more likely to get a pleasing result. If nightclub photography just isn’t your calling, a professional photographer can really help you to bring out the best of your club and get great shots of the authentic atmosphere of the crowd on a night out. Extra revenue. Your customers will be queuing up to use your attractively-branded photo booth. With its user-friendly contactless payment system, this is a fantastic extra source of revenue for your club. And all with no up-front costs! Branded content. All photo booth images and videos are branded with your nightclub logo – so they act as valuable promotional materials to attract people into your club. Highly shareable. It’s not a night out without a set of Facebook photos to look back on. But instead of a poor quality smartphone snap, photo booth photos and videos are professional quality images that will work hard to promote your club. Capable of fitting in a big crowd, your photo booth images will be shared all over social media, reaching thousands of potential new patrons. Once downloaded by your customers, they can be shared easily at the touch of a screen. Customer loyalty. Your photo booth, with its own unique customised appearance, is an attraction in its own right. Customers who loved it will be back again, and they’ll bring their friends with them to share the fun. Want guests to share some great nightclub photography and get free promotion for your club? Find out more about our nightclub photo booths and take the next step by contacting Shoot Systems today.